The electric grid was designed over 100 years ago it is an inadequate out dated electricity network . Our current system is based on big, central power plants like Niagara Falls that pump out high voltage (as much as 400,000 volts), step it down to 22 thousand volts for distribution at street level, then down to 110/220 for distribution to residential properties. At every step, there are transmission losses; as much as 10% of the electricity transmitted by the power plant is lost on the way. 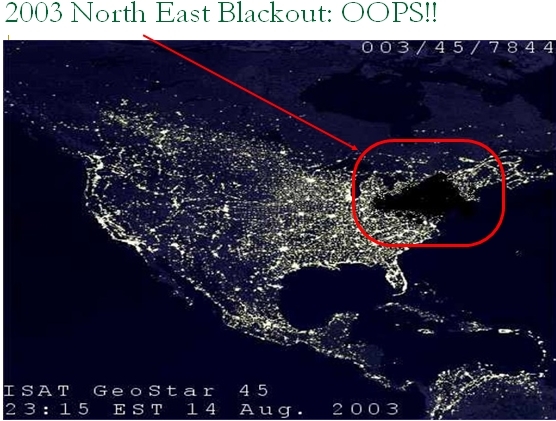 The electric grid is so unstable that power interruptions and blackouts cost the economy some $150 billion a year. Today’s grid simply cannot handle a large-scale roll out of clean-energy sources. 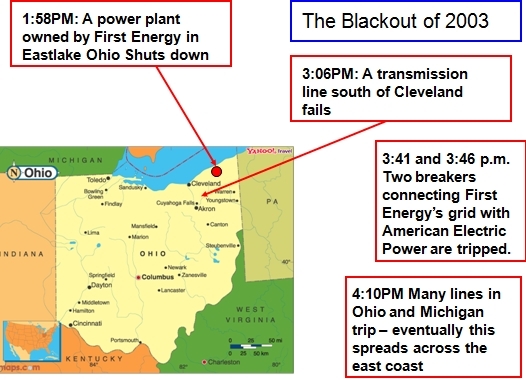 When demand peaks we overload it and brown or black outs occur, which take long times to rectify. The existing grid is inefficient and costly to maintain. An electrical grid is an interconnected network for delivering electricity from suppliers to consumers. 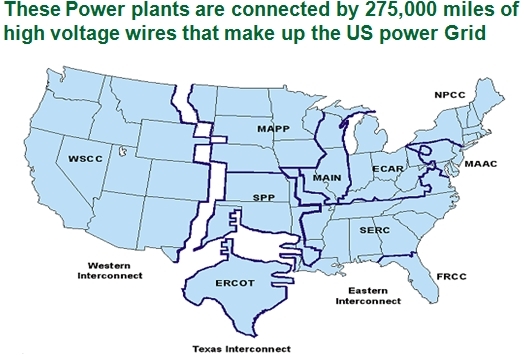 It consists of three main components: 1) generating plants that produce electricity from combustible fuels (coal, natural gas, biomass) or non-combustible fuels (wind, solar, nuclear, hydro power); 2) transmission lines that carry electricity from power plants to demand centers; and 3)transformers that reduce voltage so distribution lines carry power for final delivery. An active planning process is necessary to develop the client case for creating a Point To Point Electricity Power solution or making major modifications. Planners, operating and maintenance personnel, asset managers, and design engineers are among the various personnel typically involved in issue design such as load growth, system stability, system reliability, and system capacity. Customer requirements, such as a new factory, etc., should be considered as well as customer relations and complaints. In some instances, political factors also influence this process, such as when reliability is a major issue. At this stage, the elements of the surrounding area are defined and assessed, and a required in-service date is established. Having established the broad requirements for the new Point To Point Electricity Power solution — such as voltages, capacity, number of feeders, etc. — the issue of funding must be addressed. This is typically when real estate investigations of available sites begin, since site size and location can significantly affect the cost of the facility. Preliminary equipment layouts and engineering evaluations are also undertaken at this stage in order to develop ballpark costs, which then have to be evaluated in the corporate budgetary justification system. Preliminary manpower forecasts for all disciplines involved in the engineering and construction of the Point To Point Electricity Power station should be undertaken, including identification of the nature and extent of any work that may need to contract out. This budgeting process will involve evaluation of the project in light of corporate priorities and provide a general overview of cost and other resource requirements.